Get to know our history and our members! Established in 2012, Camerata Bachiensis is an early music ensemble based in Leipzig, Germany. Performing on period instruments, the group strives to offer historically-informed performances that preserve a dynamic, personal and spontaneous approach to early music-making. Camerata Bachiensis's repertoire consists primarily of 18th-century sacred and chamber music written by Central German composers who were either connected with J.S. Bach or influenced by local music traditions. Discovering and performing the forgotten or unknown music of both famous and lesser-known composers is an important goal for the ensemble; as a result, conducting research in libraries and archives - especially in the regions of Central Germany and Berlin - is an indispensable part of their work together. Thanks to their flexible instrumentation, Camerata Bachiensis offers repertoire ranging from trio sonatas to orchestral works and cantatas, emphasising variety and colour in their musical programmes. 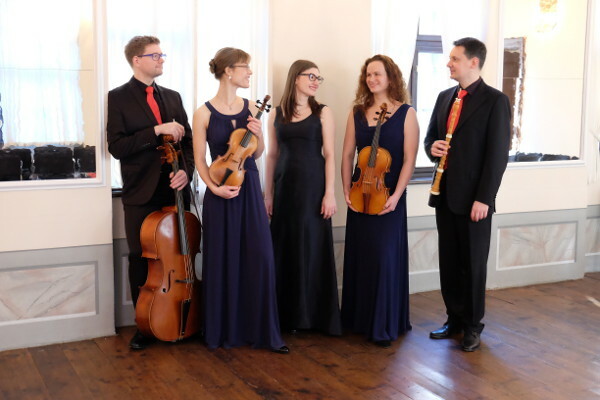 The ensemble has given concerts at important early music festivals, including Bachfest Leipzig, Göttingen International Handel Festival and Telemann-Festtage Magdeburg. In addition to its main activities in Germany, the group has performed in France, Italy, Ireland, the Netherlands, Poland, the Czech Republic and Slovenia. Camerata Bachiensis has garnered major recognition from numerous early music competitions. Since winning the 7th International Telemann Competition (Magdeburg, Germany) and the 1st International "Premio Selifa" (S. Ginesio, Italy) in 2013, the ensemble has earned further accolades at the 6th International Graun Brothers Competition 2013 (Bad Liebenwerda, Germany), the International Van Wassenaer Concours 2014 (Utrecht, the Netherlands) and the Göttinger Reihe Historischer Musik 2014/2015 (Göttingen, Germany). In 2015 the group was selected for the eeemerging European Ensembles programme. For the 2016/2017 season, the Bach Museum Leipzig chose Camerata Bachiensis as its Ensemble in Residence. The group's first CD, featuring world-premiere recordings of music by Johann Melchior Molter, was released in 2016 by the Dutch label Brilliant Classics. The second recording, released in September 2018 and nominated for the Preis der deutschen Schallplattenkritik, presents selected chamber music works by Georg Philipp Telemann and Johann Melchior Molter. 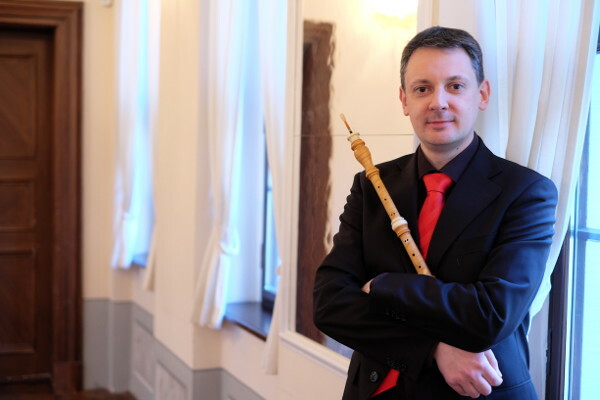 Italian baroque oboist and flutist Roberto De Franceschi began his journey into the early music world soon after finishing his modern flute diploma. He studied baroque flute with Sergio Balestracci and Marcello Gatti before taking up the baroque oboe in 2008. Since then he has studied baroque oboe with Paolo Faldi in Vicenza, Marie Wolf in Vienna, and Paolo Grazzi in Verona. Besides his successes with Camerata Bachiensis, he has been a prize-winner in many early music competitions, including the 3rd International Competition "Maurizio Pratola" in L'Aquila (2013, 3rd prize with his group La Rosa dei Venti) and the 13th Chamber Music National Prize "Arcangelo Corelli" in Fusignano (2004, 1st prize). He has taken part in various masterclasses and seminars with some of the most renowned specialists in the field of early music, and he is regularly invited to perform with orchestras and ensembles for concerts and recordings. Among them: Il Pomo d'Oro, Concerto Köln, Concerto Italiano, Vox Luminis, Academia Montis Regalis, La Divina Armonia and Sonatori de la Gioiosa Marca. He has played in numerous prestigious festivals all around Europe and recorded for many renowned labels. He also works as a Computer Engineer and is strongly interested in audio recording and Sound Engineering. 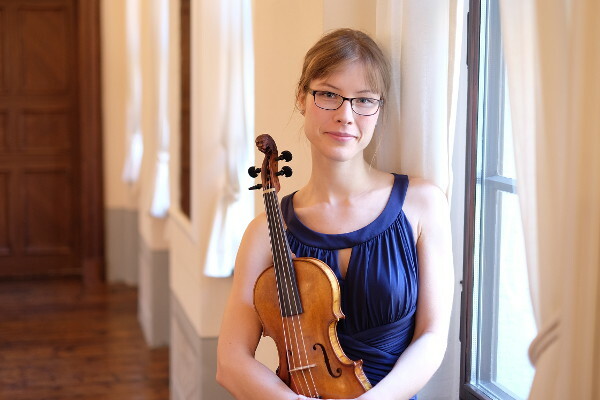 Anne Kaun is the winner (2nd prize, 1st prize not assigned) of the 2013 Premio Bonporti International Baroque Violin Competition in Rovereto, Italy. A wish for deeper involvement with the world of early music led her in 2009 to begin studies on baroque violin with Susanne Scholz and Mechthild Karkow at the University of Music and Theatre "Felix Mendelssohn Bartholdy" in Leipzig. She also studied at the Royal Conservatory of The Hague with Ryo Terakado through a scholarship of the DAAD (German Academic Exchange Service). She plays concerts all over Europe, and is a welcome guest performer with many baroque ensembles, including il Pomo d'Oro, Michaelis Consort, Leipziger Concert and Batzdorfer Hofkapelle. She has performed in masterclasses and projects with Paolo Pandolfo, Manfredo Kraemer, Barthold Kuijken, Sigiswald Kuijken, Roy Goodman, Alfredo Bernardini, Odile Edouard and Enrico Gatti. Anne also holds a degree in medicine from the University of Leipzig, and she dreams of combining her work in the medical field with her activities as a professional musician. Magdalena Schenk-Bader was first inspired by the magnificence of baroque music while pursuing an educational degree in Music and German studies. After her graduation, she devoted herself fully to early music by studying baroque violin with Susanne Scholz, and gained further musical inspiration from courses and projects with Pauline Nobes, Kati Debretzeni, Odile Edouard, Stanley Ritchie, Maggie Faultless, Riccardo Minasi, Lars Ulrik Mortensen, Paul Agnew and Petra Müllejans, among others. She performs regularly with chamber music ensembles and various baroque orchestras such as Telemannisches Collegium Michaelstein, Pauliner Barockorchester and camerata lipsiensis, and plays in opera productions such as those with Nationaltheater Weimar. 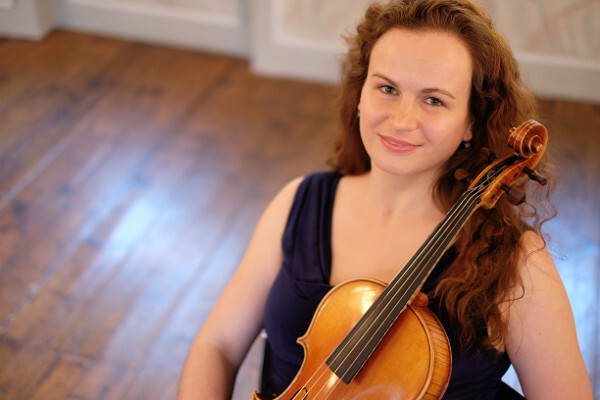 As a violinist and violist she has performed at festivals like Grandezze e Meraviglie in Modena, Greenwich Early Music Festival, Goldberg Festival Gdansk, Pavia Barocca, Baroque Arts Festival Sofia, Korkyra Baroque Festival, Oviedo Barroco and Echter'Barock. In 2012, she was invited to join I Giovani dell'Academia Montis Regalis and she was a chosen to be a member of European Union Baroque Orchestra (EUBO). What Magdalena enjoys most about Camerata are those special moments when many different musical ideas suddenly merge into one unique sound. 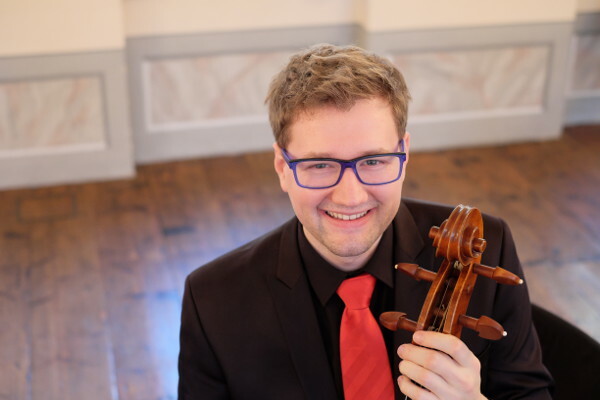 Philipp Weihrauch was born in 1983 in Halle, and began his music studies on modern cello with Prof. Schreier at the University of Music "Carl Maria von Weber" in Dresden. His musical career has been strongly shaped by his dedication to and passion for chamber music, which have led him to take part in the founding of many ensembles whose repertoire range from baroque to contemporary music. His concert activities lead him regularly throughout Europe, to cities like Cologne, Basel, Berlin and Paris, among others. Deep interest in baroque music and historical performance led him to pursue master studies in baroque cello with Balász Máté and Ronan Kernoa at the University of Music and Theatre "Felix Mendelssohn Bartholdy" in Leipzig. He is a member of Les Matelots, an ensemble that especially dedicates itself to early folk and dance music and to historical improvisation, and which in 2013 was invited to the Leipziger Improvisationsfestival. Since 2006 he has led summer courses for chamber music at the International Summer School Wust. Julia Chmielewska-Ulbrich, born in Poland, was first amazed by the sound of the harpsichord at the age of 16, and received her first lessons on harpsichord at the Music School in Poznań (Poland). In 2004 she was awarded 1st prize at a polish national competition for high school students, an experience which encouraged her decision soon afterward to focus her musical studies on early music. In 2009 she was awarded 2nd prize at the First National Harpsichord Competition for academic students in Poznań, along with a special prize for the best performance of a work by J.S. Bach. 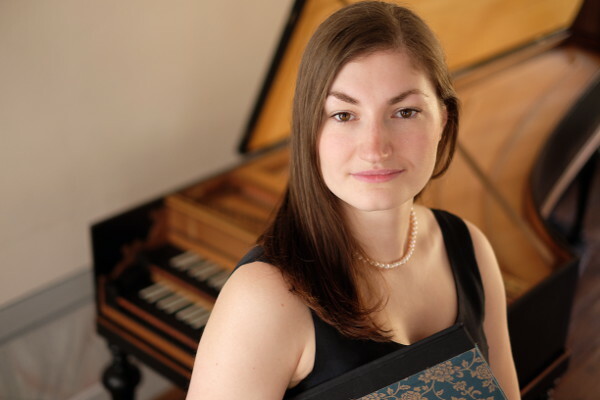 After completing her Master's Degree in Harpsichord Performance with Marta Czarny-Kaczmarska and Aleksandra Rupocińska in Wrocław (Poland) in 2010, she moved to Leipzig to study at the Hochschule für Musik und Theater in the harpsichord class of Prof. Nicholas Parle, where she received a Masters degree in 2013. While in Leipzig she also studied fortepiano in the class of Eckhart Kuper. In 2011, she was awarded a DAAD scholarship (German Academic Exchange Service). She took part, drawing inspiration, in numerous masterclasses with Skip Sempé, Christophe Rousset, Bob van Asperen, Jacques Ogg and Colin Tilney. Apart from her concert activities as a freelance harpsichordist she teaches and accompanies at opera projects and at competitions, such as the International Bach Competition in Leipzig.